April 1 – It is all about adventures this month! The exploration begins on April 5 as the fourth graders cruise to Anacapa Island to participate in restoration work and learn first-hand about the diverse island ecosystem. The trip is part of the school’s partnership with the National Park Service and an example of how OVS embraces hands-on and place-based learning to enrich the curriculum. Middle and high school students will depart for three separate Spring Break adventures at the end of this week: Equestrians will venture to Montana to trail ride under big skies; middle schoolers will head to northern Spain to explore art museums, kayak the Mediterranean coast, and hike trails in the Pyrenees mountains; and high schoolers will participate on a musical tour of Austria and the Czech Republic. For many years, OVS has offered optional travel programs to students to broaden their world view and provide opportunities for cultural enrichment. Recent destination have included Iceland, Costa Rica, and Peru. 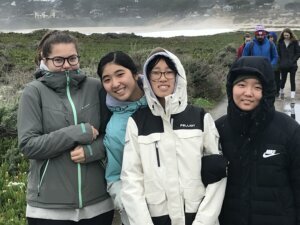 “The point of international travel at this age is to expose the students to new ways of living, thinking, and learning to love adventure,” said Mike Mahon, assistant Head of School at the Lower Campus. Back on campus, our youngest students will participate on April 5 in the annual High Tea for grades PK-2. This event encourages primary and elementary students to use their best manners while participating in a formal event attended by parents, grandparents and special guests. High school students will also attend a formal event this month – Prom! This April 4 social gives our Upper Campus students a well-deserved break following third-quarter grades, preparation for upcoming Advanced Placement exams, and the stress of college applications. So far, 30 seniors have earned more than 140 college acceptances, including — in just the last week — UCLA, UC Berkeley, UC San Diego, University of Massachusetts, Boston, and Vassar College. High school students will also continue to participate in spring sports with the tennis, track and field, baseball and golf teams. For upcoming sports contests and events, visit the website calendar. Lastly, middle school students will participate on their spring backpacking trips this month. These trips are a core part of the OVS experience. Learn more on our outdoor education pages of the website. College acceptances have been rolling in for the Class of 2019! So far, all 31 seniors have earned admission offers from more than 150 colleges and universities worldwide. The list includes large universities in every region of the United States, as well as small liberal arts colleges, elite tech institutes, and colleges overseas. In the past week, students received offers from UCLA, UC Berkeley, UC San Diego, University of Massachusetts, Boston, and Vassar College. 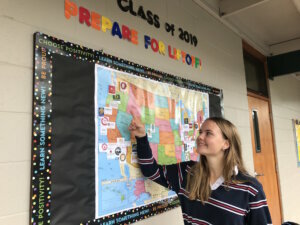 In some cases, seniors have already committed to their top schools while others are still awaiting for the University of California campuses and private universities to make their announcements. Visit the College Counseling page to see a list of current college acceptances, and check back for more good news for our senior class! Senior Elliot Oechsner is among the runners on the OVS track team. Photos by Alex Alvarez (L18). Track is back – and it’s bigger and better than ever. After a four-year hiatus, the track program at Upper Campus has reemerged this spring, drawing nearly a third of the student body to run, jump and throw as part of the 12-team Omega League. From league champion cross country runners to flat-out beginners, athletes of all levels have been working since early February to prepare themselves for the season. 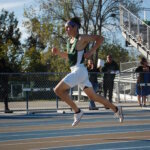 “I chose to run track because it’s such a great community and everybody is so supportive – plus I love running fast,” explained junior Corbin Muller, who this week, in just his second track meet, won the 100-meter dash, earned second place in the 200-meter, third place in the long jump and ran the lead leg on a 4 x 100-meter relay team that finished third. 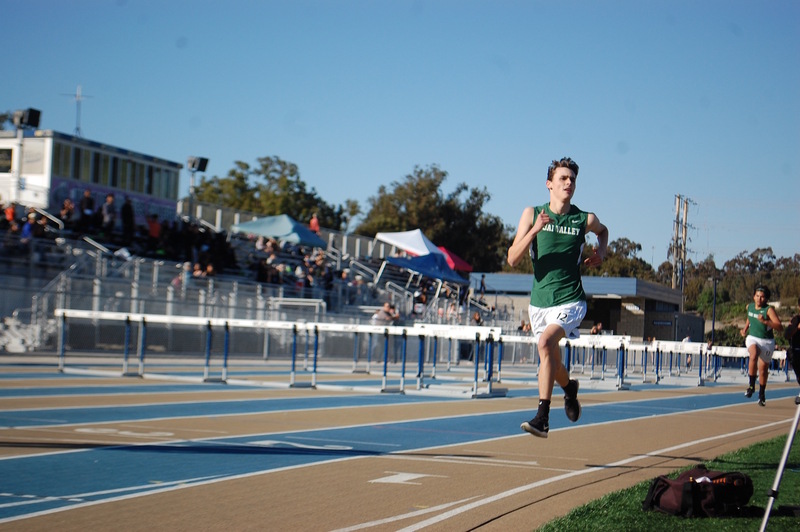 After competing in the Condor League for decades, and producing league championships and multiple individual league champions, the OVS track program shut down after the 2014 spring season due to league realignment. The Cate and Thacher schools left the Condor League after that year, and none of the schools that remained had the facilities to keep their track programs running. However, a move this year to the Omega League has resurrected the track program at Upper, providing a showcase for a slew of talented athletes. Over the past two weeks, that talent has been on full display as the track season has shifted into full gear. Last week, the Spuds competed in their second league meet of the season, with several runners, jumpers and throwers setting personal bests for the early season. On the boys’ side, the 4 x 100 relay team — which in addition to Corbin featured sophomore Gabe Weisiger (L17), junior Siyu Lai (L16) and senior Soham Kondle — blasted to a third-place finish. Other notable showings included a fifth place finish by Gabe in the 400-meter dash and a personal best effort by sophomore Ethan Gao (L17) in the 800- and 1600-meter runs. On the girls’ side, sophomore Bella Slosberg (L17) and junior Caspian Ellis (L16) had strong showings in the 800 and 1600, and OVS’s fastest 200-meter runners were a pair of freshmen — Marley Burroughs and CatieJo Larkin (L18), who is new to the sport altogether. Like many who joined track, CatieJo said she is especially pleased with the team environment and peer support at practices and meets, which make an optimal environment for improvement and motivate runners to challenge themselves, all while having fun and bonding with teammates. The middle school will perform The Sound of Music during one spectacular show in the Greenberg Activities Center at 3:30 p.m. on March 23 during Spring Family Weekend. Come out and support performing arts at Lower Campus! Students in grades PK-8 participated in class hikes to end of the first semester. 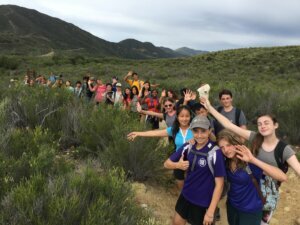 For sixth graders, the hikes presented another opportunity to continue their year-long study of the Ventura River watershed. As part of an integrated lab science and social science curriculum, OVS sixth graders learn about the natural history and ecology of the watershed. 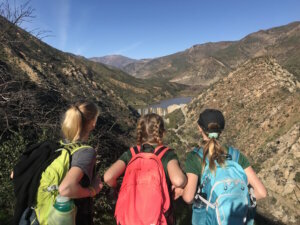 They begin the year venturing to the top of Reyes Peak in the Los Padres National Forest and, after multiple field trips, hikes and explorations, conclude at the mouth of the Ventura River. The project is unique to OVS and was developed to give students a deeper understanding of their local natural environment. 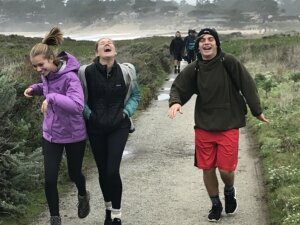 Ninth graders spent the past week exploring California history, literature, and marine science during a rainy adventure along the Central Coast. Head of School Craig Floyd reflects on the lessons learned. This past week, I had the opportunity to lead the 9th graders on a camping adventure. 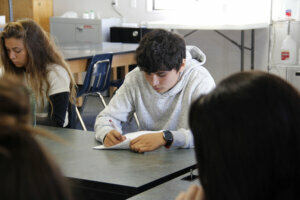 It was a blend of outdoor education mixed with environmental studies, as well as a deeper exploration of author John Steinbeck, whose work is studied in our freshmen English curriculum. 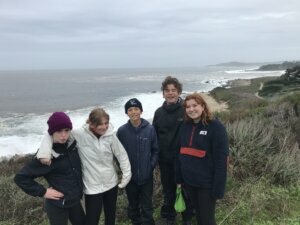 The trip, also led by English teacher Brad Weidlich and French teacher Helena Pasquarella, left Ojai on a rainy Monday morning and soon escaped the clouds north of Santa Barbara. An easy drive allowed us to arrive in Salinas to tour the John Steinbeck Museum, where Mr. Weidlich gave the students a great introduction to Steinbeck and his contributions to literature. Through this introduction, the students also learned about Ed Ricketts, a good friend of Steinbeck’s, who they would learn more about on Tuesday. We then headed to Monterey to set up camp before the rains came. Tuesday was spent visiting the Monterey Bay Aquarium, Cannery Row, and Pacific Biological Lab, the former home and lab of Ed Ricketts. The students were able to see first hand the locations from the novel “Cannery Row,” which they will read later this semester. As with any outdoor trip, flexibility is key. We had planned to leave Monterey and camp along the Big Sur coast. But due to the weather forecast of heavy rain and wind, and the probability of Highway 1 in Big Sur being closed, we decided to remain in Monterey to weather the storm. We spent Wednesday exploring the Carmel coastline at Monastery Beach and Carmel Beach before we headed back to camp to prepare for the storm. Based upon the forecast, we were able to eat and clean up dinner before hunkering down in our tents. No one got much sleep that night until the winds subsided. Returning to campus on Friday, the students came away with a better understanding of Steinbeck’s California and an appreciation for the comforts of home. The trip provided the 9th graders an opportunity to bond and experience a trip that will not be forgotten. The group maintained tremendous spirit and grit in weathering the storm. For me, this group of 27 freshmen left a lasting impression. They were outgoing, engaging, adventurous, playful, and inquisitive. They also demonstrated their growing camaraderie as a tight-knit class. They definitely experienced their education, and I’m certain they will have stories to tell for years to come. Students in grades PK-8 will embark on Class Hikes on Friday, January 25. Read more about this school tradition in an article written by science teacher Matt Inman, who also serves as the Outdoor Education Coordinator at Lower Campus. The history of class hikes at Ojai Valley School is a long and storied one. Beginning more than 40 years ago, early Spuds at the Upper Campus were charged with traveling out of the valley from their newly constructed campus, over the mountains near the shoulder of Hines Peak, hiking throughout the night by flashlight, to arrive at the Middle Lions campground just as the sun was rising. Amazed hikers arrived to find a massive breakfast feast staged by their teachers awaiting them. This bonding experience was a memorable challenge called the “Topa Topper.” It was a legendary event that fostered the students’ sense of unity, and caused them to coalesce into one interdependent team. Gradually, throughout the years, the Lower Campus absorbed and built on this tradition. 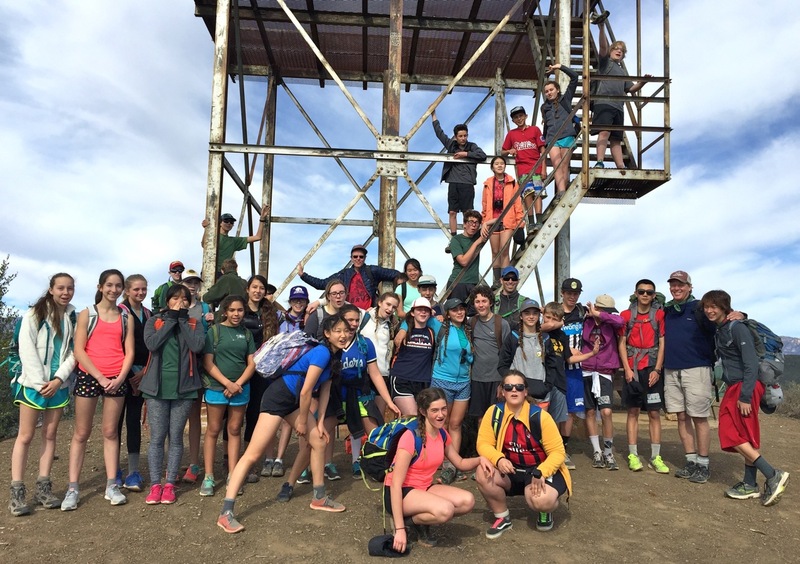 First came a spring hike for the eighth graders, with an annual route up to Nordhoff Peak, where a fire lookout tower used to exist. Students back on campus wished their departing role models well, and then trained the school telescope at the peak where they would eventually see their mentors and peers waving at them with excitement. In the early 1990’s, the value of this experience was recognized and expanded into younger grades. Class by class, additional destinations were added that were unique to each group. After several years of exploration, the seventh graders settled on a hike up Howard Creek to the ridge overlooking town, and down the Gridley Trail. With the help of science and woodshop teacher Ryan Lang, sixth graders established a class hike near the confluence of the two Matilija Creek forks that was integrated into their Watershed Program. With a middle school program firmly in place, fifth graders began walking downstream from the decommissioned Beaver Camp on the Middle Sespe Trail, arriving at the old Lions camp/Piedra Blanca trailhead. Fourth graders now visit a favorite destination of former school president Mike Hermes (L54) known as Turtle Pond, while the third graders get their first look at the legendary OVS swimming spot known as the 10’ Hole. Second graders now hike a short distance to the famous White Rocks formations where they have lunch and scramble on the Chief, Big Elephant and Little Elephant formations. In recent years, Kindergarten and First grade students joined together to tour the Ventura River Preserve, a local trail system managed by the Ojai Valley Land Conservancy. Even our youngest students in the Pre-K have jumped in to explore the Ojai Meadow Preserve just several blocks from school! One of the biggest changes throughout the years was the formation of an iconic All-School Class Hikes Day. This his much-loved event is the culminating day of our first semester. Students arrive at school in their outdoor gear, make their own sack lunch at the Wallace Burr Pergola, and join the logistical migration of loading into buses and vans for transport to their trailhead. It’s an exciting way to end the semester, and one that symbolizes the strength and unity of all that OVS has to offer. Class Hikes are just part of the Adventure! Check out the Calendars below to learn more about Upcoming Trips! It’s Final Exams week at the Upper Campus! Finals can be very stressful. We are reminding students to attend review sessions, get plenty sleep, find a quiet place to study, eat healthy and exercise, and keep it all in perspective. We’ll see you all back on campus for the new semester on January 7, 2019! 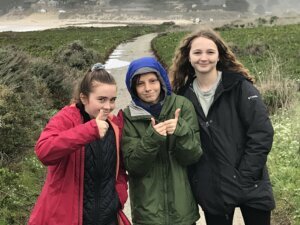 Ojai Valley School’s partnership with the National Parks Service brings students to the Channel Islands each year. 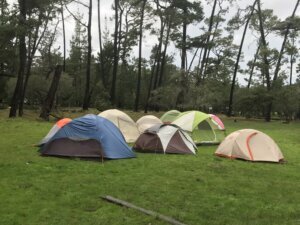 Thanks to the Hands On The Land grant, both Upper and Lower Campus students get a chance to camp on the islands, as well as participate in native plant restoration work, study erosion, and learn about the unique biology, geology, and Native American history of the region. In just the first few weeks of the 2018-2019 school year, middle and high school students have participated in restoration work as part of their fall camping trips to Santa Cruz Island, where they also snorkeled, hiked and kayaked. 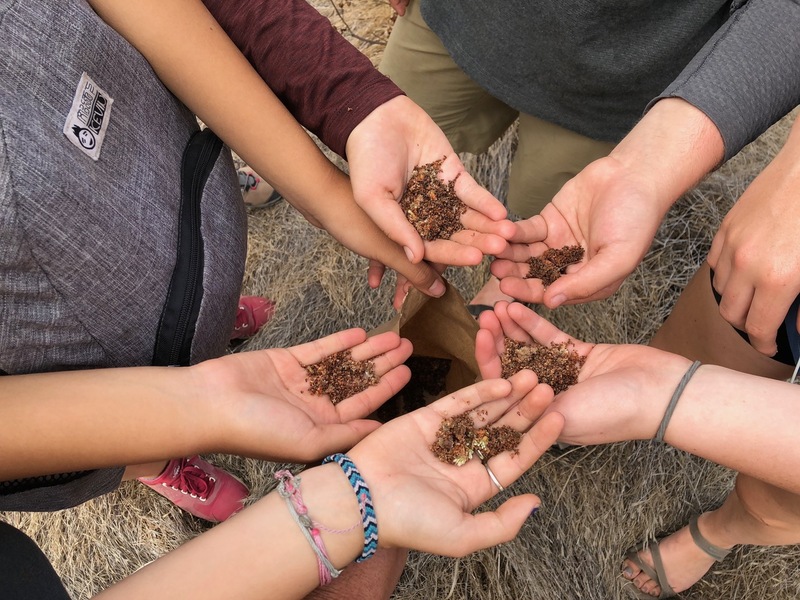 This year, the restoration work for students in grades 7, 10, 11 and 12 included harvesting seeds from native plants as well as removal of invasive plant species. 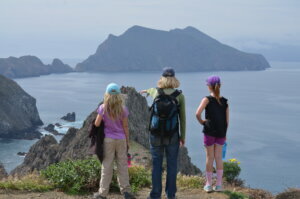 Later this year, high school students will backpack across the remote Santa Rosa Island and fourth-graders will venture to Anacapa Island. The high school boys baseball team finished the season undefeated in league play after securing a key 8-7 victory over Newbury Park Adventist. The game started out slowly for the Spuds. 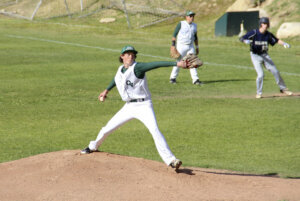 At the bottom of the fourth inning, the Newbury Park Gators were up 5-0. Due to two balks by Newbury’s pitcher, the Spuds earned two runs in the top of the fifth inning, and in the sixth inning scored another run. By the top of the seventh inning, the Gators were up 6-3. With only one inning left, the OVS players knew they needed to put all of their effort into scoring. And score they did. After sophomore Tyler Davis hit the ball to the shortstop, allowing junior Nolan Colborn to score, the team members and spectators cheered on senior Shotaro Yamamura and freshman Adrian Ortiz who were poised and ready on third and first bases. With only one out and still needing to score two runs, junior Niklas Weckerle strode up to home plate while everyone held their breath. Remarkably, Niklas hit an incredible home run, sending Shotaro, Tyler, and himself back home to score three runs. The crowd went wild. The players leapt up onto their feet, jumping and cheering, stirring up clouds of dust into the air. The fans were just as ecstatic, all standing up and applauding the spectacular moment. This was an incredible feat for the baseball team, for they proved to themselves that with their own determination and hard work they could make an epic comeback. Although the Spuds were now up 8-6 (with another run from freshman Derek Mendoza), they knew they still needed to put everything they had into the bottom of the last inning, for they were out of time to score any more runs. Nolan started the inning at the mound and made the first out by catching a pop fly ball, but the game was rounded off by an incredible pitching performance from Tyler Davis. Newbury scored one additional run, but the last two outs were earned by Tyler, striking out the second batter and making a play to first base on the third batter. After making the final out, the team stormed the field, hoisting Tyler up above their heads and pumping fists into the air. “When he called me in in the last inning I was so surprised yet I was happy to have the chance to finish the game. I wasn’t very nervous I just thought of it as any other inning,” recalled Tyler of the moment he was put back in as pitcher. “I am very proud of the team’s performance in the end. We knew what was our job and we executed it. All in all, this game was nail-biting, nerve-racking, and extremely rewarding. The boys proved that they were able to comeback from being in a tough situation, and reminded everyone of the pride and camaraderie that comes with being a part of a team.